I was stunned by the sudden development, but immediately regained my bearings and ran towards Camille’s side. Naturally, I ignored the viscount’s daughter. It seems that she lost consciousness, but she was unhurt. But she smells a little bit like alcohol… She drank, didn’t she? I’ll immediately take her elsewhere and nurse her. I can’t leave her like this. The shadow that tackled Dominique slowly stood up. Their true identity of that black thing was actually the black-clothed servant of the Jade house; a bespectacled girl with black braids. If I remember correctly, she’s a new maid that we recently hired for the villa. Since she just entered our service at the villa, she probably doesn’t know my face, nor Dominique’s. Dominique who was thrust away was supporting his heavy body as he got up, and glared at the maid with rough breathing. That guy is always haughty to those lower than him, without distinction. Dominique whose gaze turned to me raised a hateful voice as his body shook. His words make no sense. Dominique has completely hated me since childhood. He 100% ignores my words anyway. When I ignored his demand, he approached with bloodshot eyes. The frenzied Dominique came to attack me, so I promptly avoided him. Wouldn’t it be terrible if he hit Camille? Having lost its destination, that large body lost its balance and once again tumbled to the floor. I desperately kept down the urge to kick flying the lump of meat in front of me that lay its hands on Camille, and bound him with magic. As though binding him, I sealed the movements of his two hands and feet. I fired magic at Dominique’s mouth as well. It’s unpleasant to hear Camille’s name come out of that mouth. I called out to the maid with braids who was conveniently here. However, she pouted in displeasure. The maid widened her eyes at my words. And the one lying on the floor is the first son, but… I doubt there’s any need to say it right now. After showing acknowledgement at my words, the maid said she was going to get a trolley and headed to the storeroom. I looked at Camille who was in my arms. She’s sleeping quietly, oblivious to anyone else. I’ll immediately head to the mansion. It’s not bad either to spend time alone with Camille in a room until the reception starts. Ahh, she was still here, wasn’t she. The viscount’s daughter followed me even this far. I tried to speak as gently as I could. If I didn’t, it felt like my true colours would spill out at any moment. While I was arguing with this viscount’s daughter, the braids maid from before returned. She came back with a trolley for carrying Dominique, and a number of fellow maids. …Her timing is just right. I decided to let the maids take care of the annoying stuff. The oldest maid answered. She’s a veteran who’s served the Jade family for many years. It’ll probably be fine even if I leave this viscount’s daughter to her. The viscount’s daughter desperately went on and on. Hearing this, the maids looked at each other with uncomfortable expression. 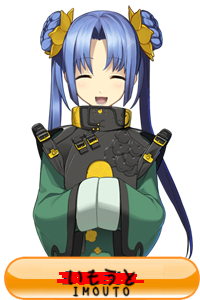 With the exception of the newcomer maid with braids, all of the loyal retainers of the Jade family know very well the relationship between Camille and I. Because of that, they’ve also noticed my bad mood. After giving once glance at the noble daughter who was stubbornly staying here, I turned to face the maids and gave them another order. After giving a reverent bow, the maids immediately became to bring the viscount’s daughter away. With only fruitless resistance, the viscount’s daughter was surrounded by the maids, and then dragged outside the estate. While that was happening, the braids maid and another young maid picked up Dominique together and placed him on the trolly. While smirking, the maid with braids left the with the trolley. The only ones left in the vicinity of the gazebo were Camille and I.
Camille was sleeping quietly in my arms. I decided to carry her into my room in the village, and nurse her there. Gah,, it’s only give me a headache. But, i’ll enjoy the story. Oh my… Bakamille… I just can’t help but laugh. It’s just too perfect. Also, thank you, onii-chan / imouto-sama / whatever else you may prefer (the terms used in these comments are too inconsistent for my inferior facilities to keep track of). You may refer to me as The Esteemed 5th Holy Sheeprabbit, Estelion Sharlulu Asheel Vinchance Celenalia di ef Falufiluu’Luufilaafee (The 35th). Understood. Thank you, The Esteemed 5th Holy Sheeprabbit, Estelion Sharlulu Asheel Vinchance Celenalia di ef Falufiluu (The 32nd). You are welcome, but please take care to note that as of 30 seconds ago, I am no longer The Esteemed 5th Holy Sheeprabbit, Estelion Sharlulu Asheel Vinchance Celenalia di ef Falufiluu (The 32nd) but The Esteemed 5th Holy Sheeprabbit, Estelion Sharlulu Asheel Vinchance Celenalia di ef Falufiluu’Luufilaafee (The 35th). Please accept my sincerest apologies; I will endeavour to keep up to date with you currently preferred title for any future acts of gratitude and/or supplication. nah,, at most, i’ll call the translator at this site ‘you’. oh,, are the new maid identity as the last Q of card that can’t make her self to attend the academic..?? and don’t tell that her favorite character is second sod of…. i actually tarnslate these on the train from saved pages. it’s friday afternoon, so i’m taking the time to edit and post them. Thanks for translating this fast, imouto-sama! Shouldn’t that be “Camille and I”? Thank you The Esteemed 5th Holy Sheeprabbit, Estelion Sharlulu Asheel Vinchance Celenalia di ef Falufiluu (The 32nd) but The Esteemed 5th Holy Sheeprabbit, Estelion Sharlulu Asheel Vinchance Celenalia di ef Falufiluu’Luufilaafee (The 35th). That maids accent is awesome. Never expected it to pop up here on this wn. Also, i think its clear that mr.jade hires an elite guard of maids to protect his dear fiance. After that previous chapter preview, I’m a bit worried….. I suspect that the braids maid is the former Clover Q. Just caught up. Fun as always. “the one you’re working is me, you know” > working for is me? Another typo sighted, requesting support from TL sama, standing by. Thank you for the chapter. The Esteemed 5th Holy Sheeprabbit, Estelion Sharlulu Asheel Vinchance Celenalia di ef Falufiluu’Luufilaafee (The 35th)-sama. Thanks for the chapter aniki! Go and destroy the girl Achille!! I have a crazy thought. You know how the otomege’s heroine is now a swapped person who seems really hostile to Camille and all the other body-swappers? Who have the people who have been cursed with forbidden magic tended to be related to? The bodyswappers. So maybe her plan was to get a harem of all the guys in the otomege – Raiga, Royce, Tria, and the other one – but the body-swappers got in the way. So, the heroine decided to remove them, so that her 2nd year of high school could proceed just like the game did. Your name is too long. I can’t type all thaaaat! !!!! Who was 1st to get that long name! ? I need a time machine to have long long conversation with that person. .. Indeed, it’s hard for me to correct typos on my tablet, should have waited till I got back to my computer ! that new maid is suspicious. Brother is under a curse, she is new and she know about Achille pokerface even after ‘just’ meeting him. What do you think The Esteemed 5th Holy Sheeprabbit, Estelion Sharlulu Asheel Vinchance Celenalia di ef Falufiluu’Luufilaafee (The 35th)-sama? And I shall dub thee, Fluffy. I’m pretty sure that the braids girl is the heroine and that she cast forbidden magic on Dominique and the viscount’s daughter, but I wonder why Achille doesn’t recognize her? Is it the stress and bad lighting maybe? That maid… could it be?? Q of Clover? The one that failed the magic school exam? Since clover is a commoner faction..